In the first of our New Year coverage, Jack Linley assesses the transfer window ahead for Brendan Rodgers and his underwhelming Liverpool side. The demise of Liverpool FC has been one of the main talking points during the latter half of 2014. Their leaky defensive line from last season has only worsened and with the sale of Luis Suarez and enforced absence of Daniel Sturridge, goals to haul them out of tough spots have been hard to come by. For the vast majority of this campaign, only Sterling has remained from the SASAS trio that drove The Reds on to such heights last year. A recent upturn in form has coincided with a switch of system to a 3-4-3 with Sterling predominantly operating in a withdrawn role at the centre of the attack. The positivity is much needed, but several problems remain unsolved and delving into the transfer market in the January window will be vital in Liverpool’s push for Champions League qualification. Not only are purchases required, but I believe that their cause will also be furthered by the sale of some of the squad; both to supply the necessary funds and to send a ruthless message. Under pressure: Brendan Rodgers in need of a quick-fix to change his side’s fortunes. A crucial factor for potential additions is that they hit the ground running. The Reds’ slow start to the campaign has left them without the luxury of allowing new players the time to bed in. With top 4 rivals such as Manchester United and Southampton almost certain to add quality to their respective squads in the coming weeks, Liverpool cannot afford to lose further ground in the qualifying race for Champions League football next season. Arrivals from other Premier League sides are likely to be the safest bet for both footballing and language reasons. While world stars such as Mats Hummels and Gonzalo Higuain would improve any side, it is highly unlikely that their current career path would pass through Anfield. Therefore, the players listed below are those that I believe are realistic; both in terms of transfer fee and the attraction that Liverpool currently hold as a side without a seat at Europe’s top table for the next six months at least. With the summer recall of Thibaut Courtois to Chelsea’s ranks, Petr Cech was always going to face an uphill battle to retain his place as the number one at Stamford Bridge. The Belgian giant had a magnificent season at the spine of a title-winning Atlértico side in 2014 and responded instantly to José Mourinho handing him the first opportunity to impress this season. Still incredibly youthful for a goalkeeper, he has not looked back and as such, the long-standing Chelsea stalwart has found playing time severely limited. This situation at Stamford Bridge could not be more convenient for Liverpool as they lurch from one defensive howler to another. Chinks in Simon Mignolet’s armour were exposed last season, but it is not until this campaign got underway that his demise really started to take hold. Regularly misjudging crosses and generally poor distribution of the ball are not favourable attributes for a ‘keeper, but as the weight of ridicule became heavier on his shoulders with each passing week, Mignolet’s form has only worsened. Only a fortunate reprieve in the form of an injured Australian thigh has led to a route back to the Liverpool goal after being dropped for an ‘indefinite period’, but the acquisition of Cech would be a perfect one if it could be pulled off. The Czech stopper has been a top Premier League goalkeeper for a decade and despite a horrific neck injury several seasons ago, possesses a commanding presence that so often vanishes with Mignolet between the sticks. Whether José Mourinho can be persuaded to sanction the transfer of a club servant; either on a permanent or temporary basis, to a Premier League rival remains to be seen. However, it is quite possibly the position above all others that needs most work so in my opinion, if there is an opportunity to secure Cech, they should pull out all the stops. The Aston Villa defender has produced some solid displays this season to continue on from a highly impressive league campaign last time out. Under Louis Van Gaal at the World Cup in Brazil, Vlaar played stoically as part of a back four or three, and with the recent formation switch under Rodgers, this tactical understanding is important. Another advantage that the no-nonsense centre-half holds is that his contract runs out in six months, thus decreasing his market value. His purchase suddenly becomes a great deal more affordable but it does come with an inevitable clamour for his signature. Should Liverpool possess sufficient appeal for the Dutchman, then the experienced defender would become an important part of shoring up The Reds’ defence. Despite the signing of Dejan Lovren; a top performer for Southampton last season, problems at the back have only worsened. The natural leadership and rugged approach that the 29 year old brings to his side is exactly what is required at Anfield, giving the confidence to gifted players further up-field to work their magic. 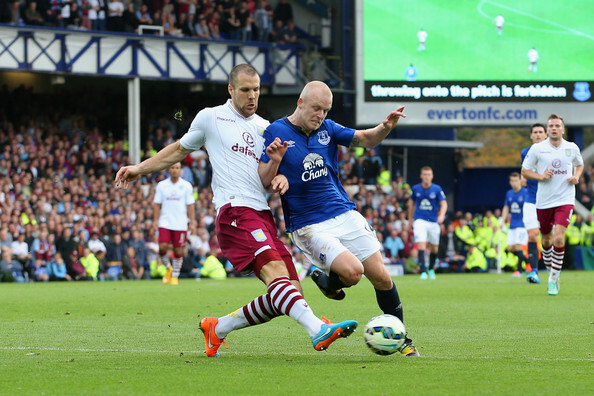 Is Aston Villa’s Ron Vlaar the solution to Liverpool’s defensive deficiencies? Another Aston Villa player who could improve Liverpool’s fortunes is midfielder Fabian Delph; touted by some as a long-term successor to the Steven Gerrard role at Liverpool. There is a long road ahead to reach that stature of course, but it is certainly not beyond his grasp. Delph is in a similar situation to club-mate Ron Vlaar; also only having 6 months of his contract remaining at the Midlands side. Indeed both have intimated that they have desires to leave and do not intend to sign an extension. Should both players be part of the same deal, a fee of £15 million has been rumoured. Should this play out, I believe it would be terrific business especially when you consider the fees paid out for Joe Allen and Mario Balotelli over the last couple of seasons. Villa’s recent England debutant has a magnificent engine in order to keep up a high tempo from first minute to last, and a partnership with fellow Three Lion Jordan Henderson would be quite a display of running power. By combining this with his natural dribbling ability, Delph can be found in a deep-lying position one minute, before charging into the penalty area a few seconds later. Goals deriving from play like this have become something of a trademark and his eye for the spectacular has drawn praise from near and afar. Fabian Delph does possess a wild streak when it comes to landing the odd dangerous tackle, brought to the public’s attention again recently with a straight red card against Manchester United. This would have to be tempered and toned down by Rodgers in order for Delph to prove a success at Anfield for seasons to come, but should not be eliminated completely. Wayne Rooney and Diego Costa are prime examples of top stars who have a swashbuckling disregard for opponents when victory is on the line, and living on the limit gives them the edge over their rivals. Finding the right balance; something which Rodgers has proven he has the capacity for, could bring Fabian Delph’s overall game on leaps and bounds. If Petr Cech does indeed arrive at Anfield, then his supreme knowledge of the requirements to be a top class Premier League goalkeeper could prove invaluable to the long-term development of Simon Mignolet. At 26, the Belgian still has time on his side and his shot-stopping attributes are not in doubt. Brad Jones on the other hand is a renowned number two, and seems to be content with this state of affairs. The former Middlesborough stopper’s best years are behind him and in my opinion, does not provide a significant upgrade compared to Mignolet in terms of his command of the penalty box. I believe that Mignolet and Cech could form a positive pairing; each with the desire to push the other and strive for improvement. This has never seemed to have been Brad Jones’ prerogative and is the opposite mentality to the one which Brendan Rodgers should seek to harbour amongst his squad. Therefore, not only because Jones would become third choice and without a serious look-in at first team action upon Petr Cech’s arrival, but his departure could signal that genuine and consistent contribution is required for a place in the Anfield changing room. An audible intake of breath is commonplace in the Anfield crowd when Glen Johnson is in possession of the ball. While this used to be in anticipation of a direct attack down the flank or a shot on goal, it is now in fear that he will dally on the ball and land his side in deep water. Whether it is as a result of continual uncertainty over his contract at Liverpool or just a general loss of self-belief, Johnson’s fall from grace as a marauding full-back has been astounding. Before a recent groin injury sidelined him for a few weeks, he had held a regular place in the side even through matches against the big teams. His versatility in defence is indeed valuable to the squad as a whole, but the risk of an error far outweighs this in my view. After a fractured start to life at Liverpool, Javier Manquillo seems to have eliminated the majority of the mistakes in his game from right-back and his youthful exuberance allows him to make up ground on attackers when necessary. To coincide with this, the return from injury of one of last season’s surprise packages; Jon Flanagan, is not too far away. He too can play on either side of the defence and is far more reliable than Glen Johnson. Furthermore, Alberto Moreno is rapidly becoming a fan favourite with his energetic approach, lung-busting sprints, and even the ability to break into the box and pick up a goal. With six months remaining on his current Liverpool deal and an extension seeming all the more unlikely with each passing week, Rodgers should look to move Johnson on in this window. The Reds have a decent blend of youth and experience in the full-back positions and as he does not have a future at the club in my opinion, the England defender may well have played his last game in a Liverpool shirt. 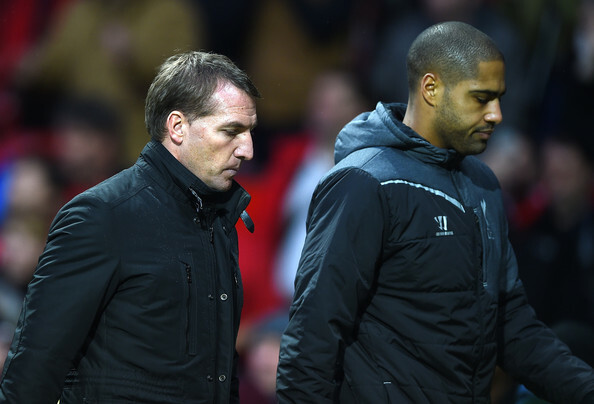 Are Glen Johnson’s days at Anfield numbered? Should Brendan Rodgers and FSG decide to cut their losses on Mario Balotelli, it is almost certain that they will not receive a fee anywhere close to the £16 million they shelled out for him in the summer. Even considering this financial implication, it has become fairly obvious that the former Manchester City cult hero just doesn’t suit the high tempo and pressing style of play that brought success last season and has been rekindled in recent matches. Rodgers has said as much himself in a recent interview; warning the Italian to expect time on the sidelines. On the subject of Balotelli, Rodgers has also added that “We have seen it’s not really his game (to press defenders and run). Working with him for the period of time he’s been here, we have seen that he’s probably someone who’s better in and around the box. So that level of intensity and pressing isn’t part of his game.” Hardly encouraging words for a big money signing. It is a damning inditement that he is sitting on the bench while Liverpool play on without a striker are on the pitch. Another summer acquisition; but only for a quarter of Balotelli’s fee, does at least provide a genuine ‘Plan B’. Rickie Lambert grafts and chases up front even when isolated; a trait that is far from frequently displayed by the enigmatic Italian. Allowing Balotelli to leave on loan would not be a wise decision in my opinion as Liverpool would probably be landed with the majority of his wages, therefore a permanent departure to pastures new should be the preferred choice. How are the newly promoted teams faring so far?